Lightweight robust body. High quality 5-blade cutting reel for precise and accurate mowing. Extremely maneouverable and very lawn friendly. Emission-free and quiet. Ergonomic handle with aluminium centre piece and quick release. The high quality aluminium components stabilise the handlebar, and the integrated quick-locks allow the handlebar to be folded easily for storage or transport. 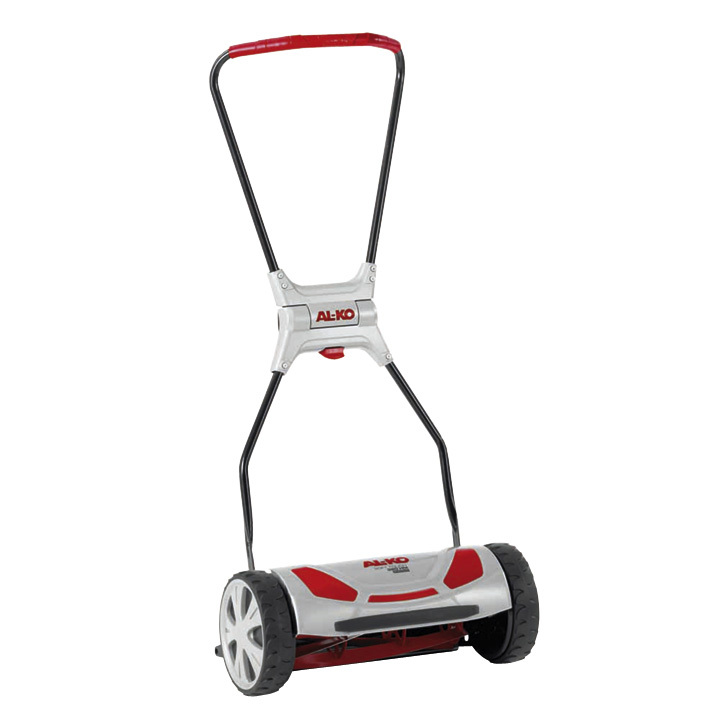 The single-axle design of the AL-KO cylinder mower ensures extreme maneouverability and comfortable compensation of uneven ground. The high-quality 5-blade mowing cylinder made of hardened special steel ensures a perfect cut and uniform filling of the grass catcher. The spoke wheels complete an attractive look and with their wide tread make the mower as gentle as possible on the lawn. The rubber bumper protects the deck from impact and scratches. Mowing a lawn with a cylinder mower means the grass blades are cut off as clean as if cut with a pair of scissors. The cutting technology plays an important role in this: the mowing cylinder and the lower blade do not come into contact, which means the mower is particularly gentle on the lawn.